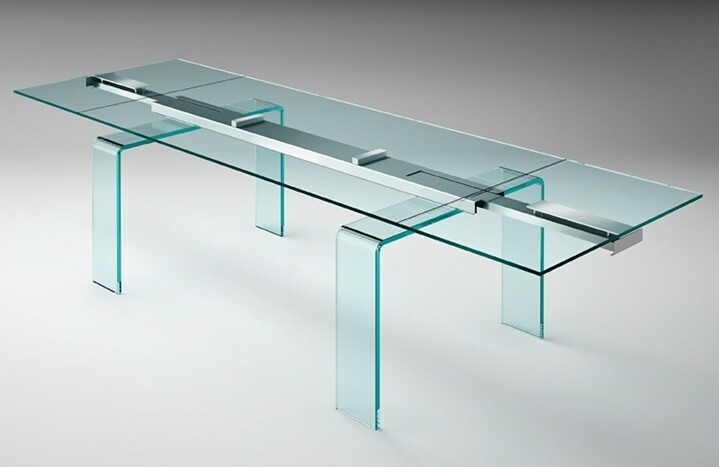 Extending dining table with detachable legs in 19mm curved glass, top and extensions in 12mm thick glass. 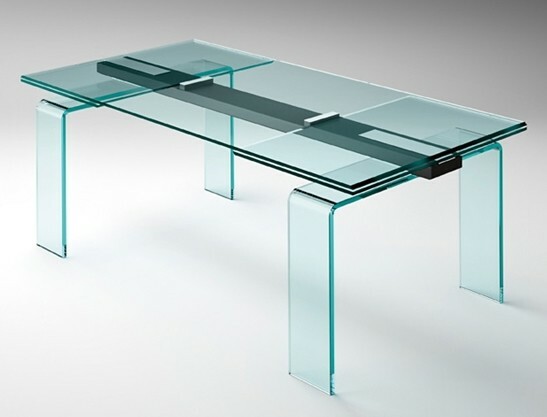 Transparent or extra clear glass. The extension system comprises of a central aluminium bar in matt black or satined chrome.